After many discussions with local Business leaders, it was highlighted the lack of interaction between Westminster and Business in the North of Scotland. To build on the reputation of the highly esteemed monthly supplement – ‘the business’ – The Press and Journal is developing its business brand by creating and delivering Business Briefings. These events provide the diverse business community in The Press and Journal circulation areas, with the opportunity to hear and engage with some of the most high profile UK business and political leaders, as they discuss current economic and social topics. 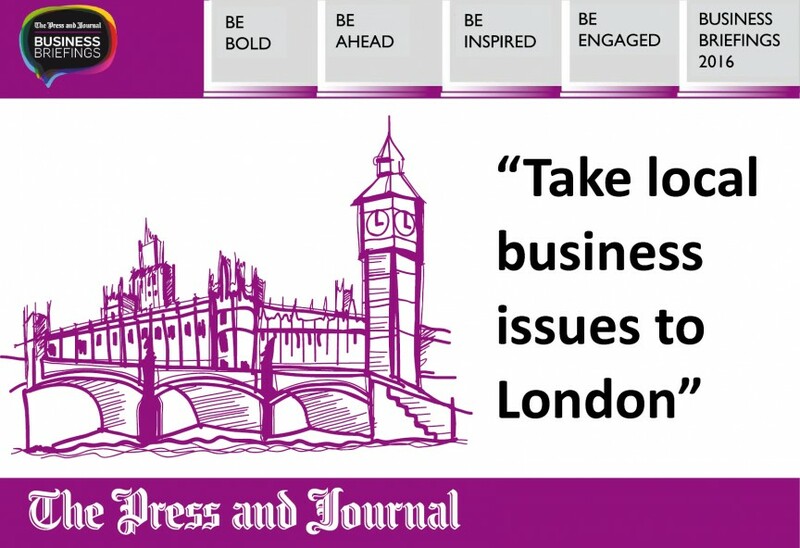 On Tuesday 22 March, The Press and Journal will be offering a select group of business leaders to travel to London to meet with political decision makers – the week following the Budget. This offers the opportunity to network with the Editor, key decision makers in Westminster and high-profile business leaders from the area in this one-day exclusive event – “taking local business matters to London”. The cost of the event is £400 plus VAT per person. This includes transport to and from London, private transfers between Gatwick and Westminster, 3 course lunch at a top London restaurant (with drink allowance), afternoon drinks reception, as well as post UK budget meetings at The Scotland Office. Please email neil.mcgregor@ajl.co.uk or call 01463 272314 to reserve your space. Spaces are highly limited, so please be quick.